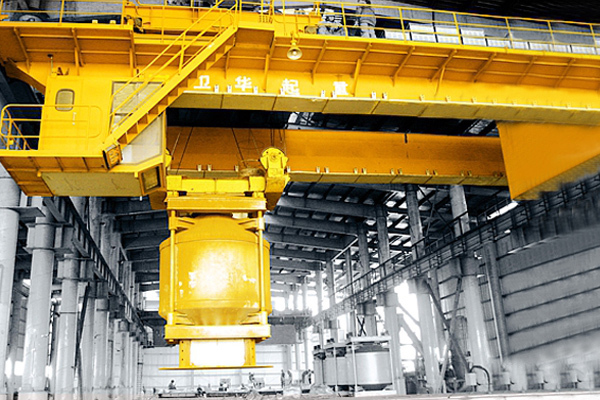 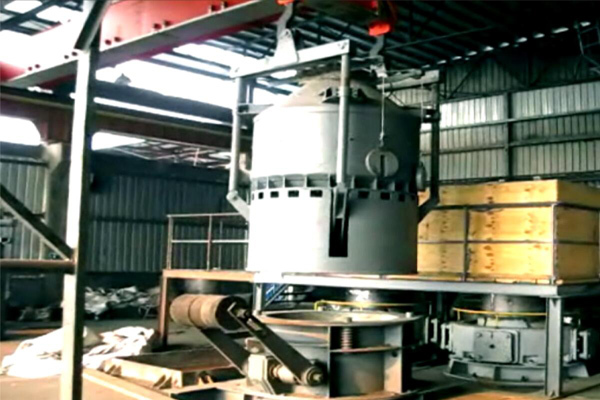 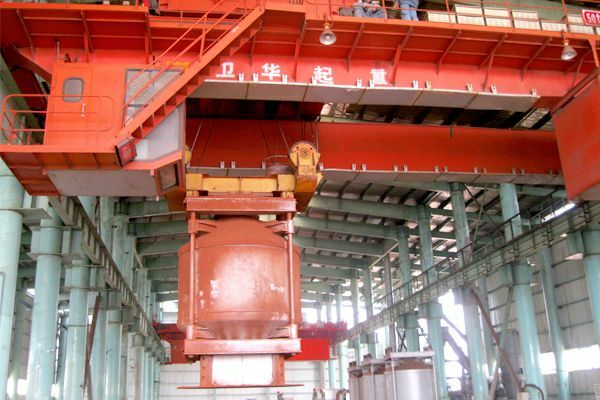 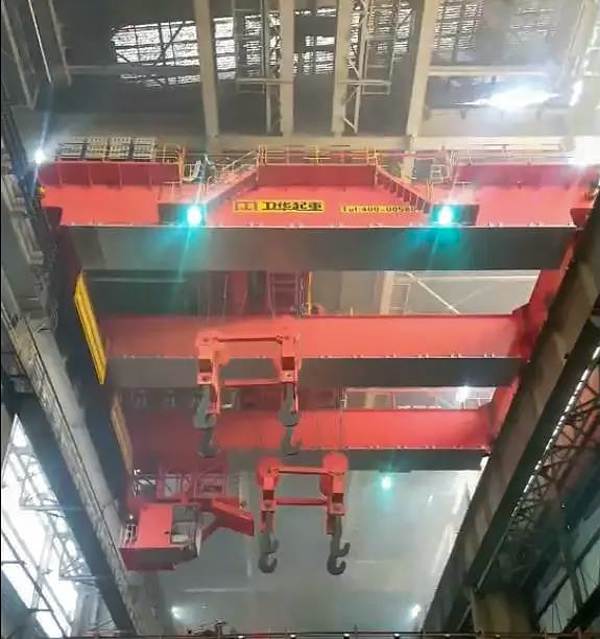 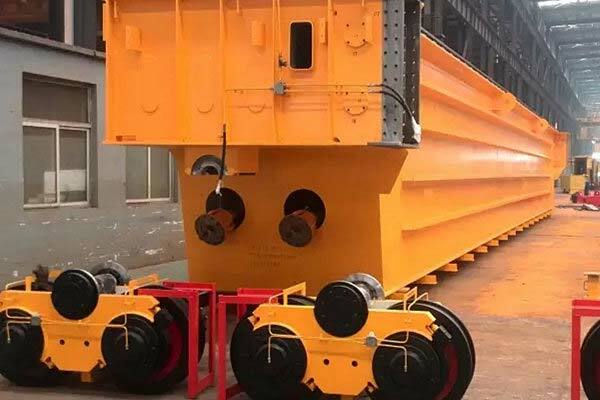 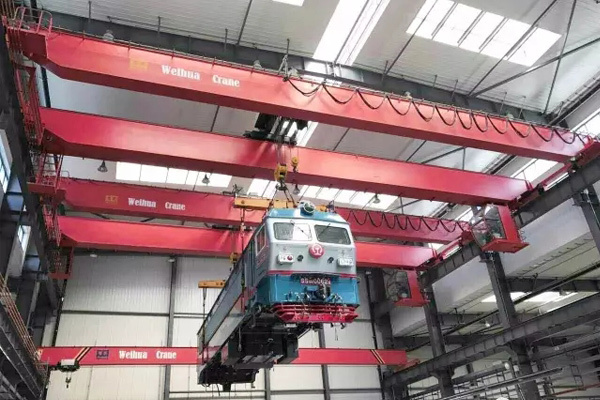 This intelligent overhead crane for smelting feeding is usually for Nickel iron smelting feeding in nickel companies, for lifting material feeding bucket with high level of work and high degree of automation. 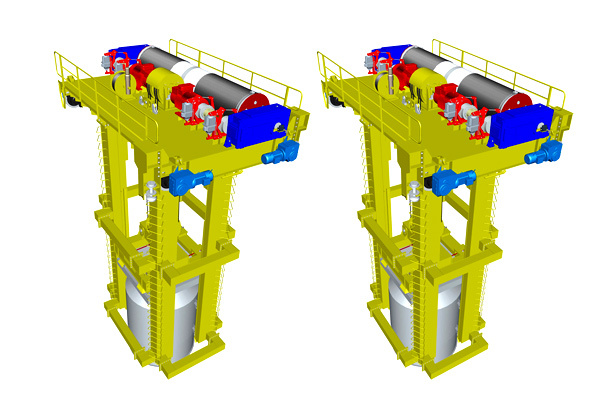 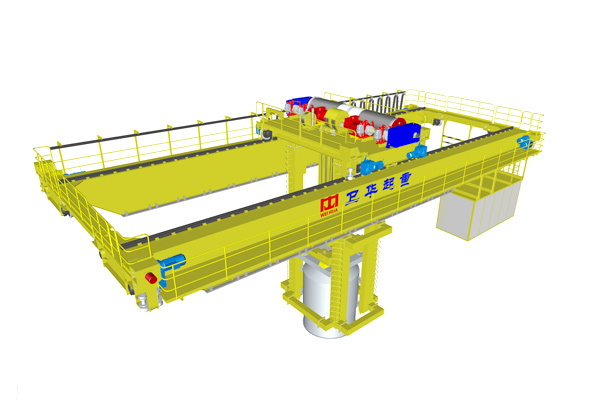 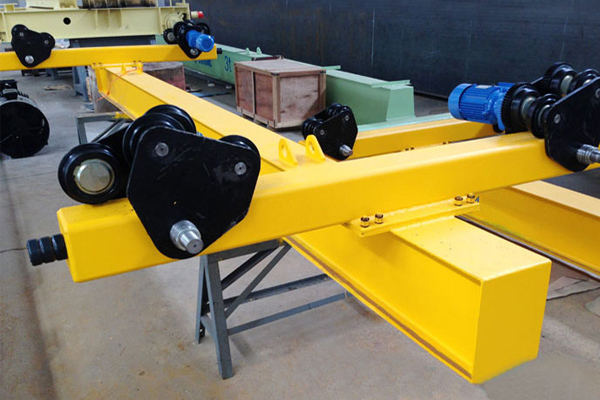 The overhead cranes for smelting feeding work with anti-sway control is able to carry out precise positioning tasks with full-automatic spreader. 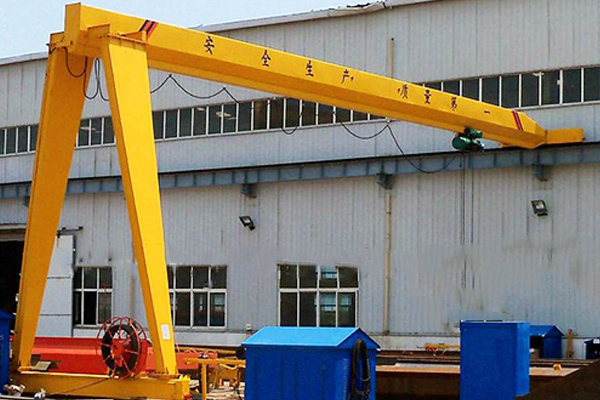 So it is a anti-sway crane. 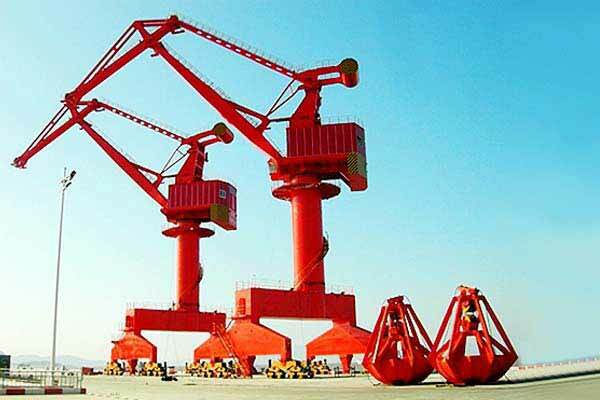 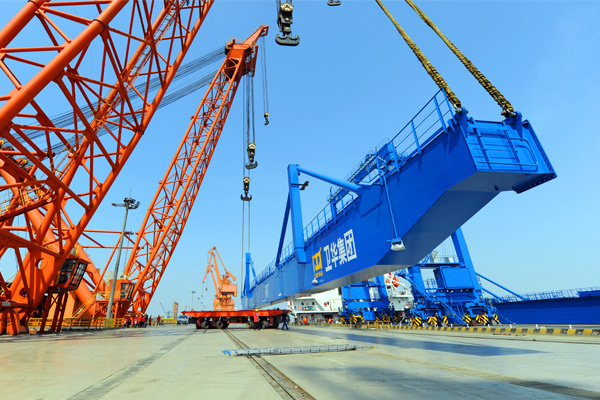 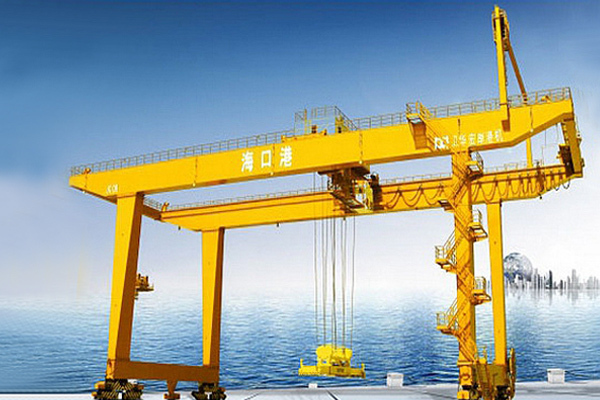 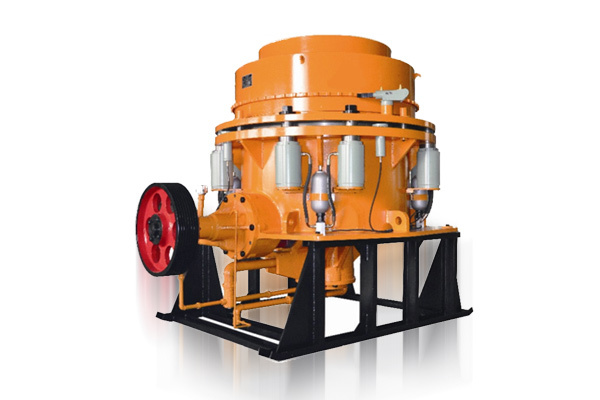 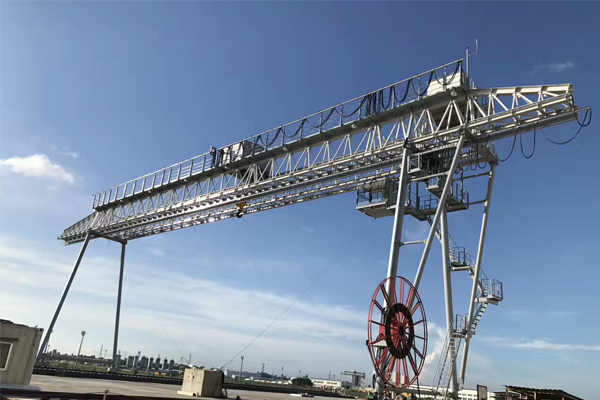 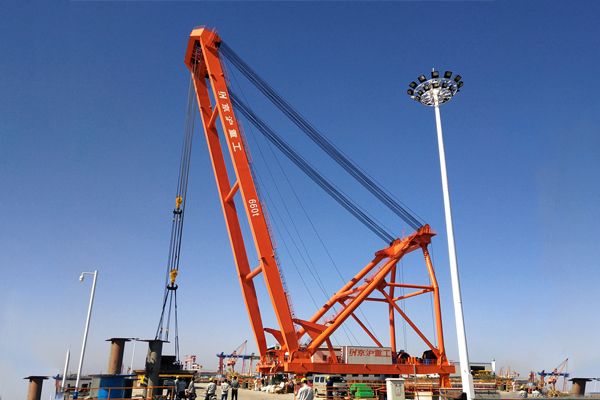 This crane has the functions of automatic recognition, automatically hook, automatic feeding and automatically changing bucket. 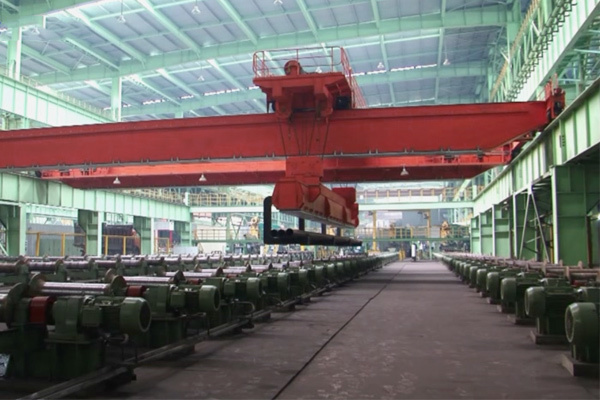 And the entire process is controlled by program, monitoring and operating without men.